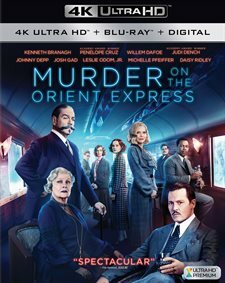 Download Murder on the Orient Express in Digital HD from the iTunes store. 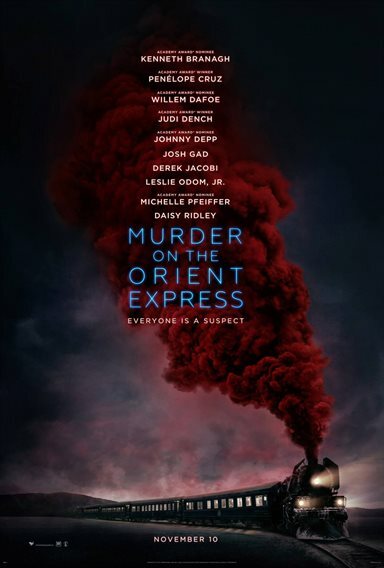 Murder on the Orient Express images are © 20th Century Fox. All Rights Reserved. Agatha Christie was a prolific novelist with 66 books and numerous short stories to her credit. She wrote in great detail about murder mysteries and offered fans beloved characters like Miss Marple and Hercule Poirot, the latter being a Belgian who was the "greatest detective alive" (Sherlock Holmes fans might disagree). He had a knack for observation (much like the aforementioned Holmes) almost to the point that some might say he was Obsessive Compulsive. He appeared in half of her novels including one of her most famous, Murder on the Orient Express. In 1974, the book was adapted into a feature film starring Albert Finney (Erin Brockovich) and once again last year with an all-star cast. Poirot (Kenneth Branagh; Dunkirk) was planning a much-needed vacation after solving yet another crime when he is suddenly called back to London. With the help of his friend, train Director Bouc (Tom Bateman; Snatched), Poirot secures passage on the Orient Express. Once aboard he is approached by Edward Ratchett (Johnny Depp; Pirate of the Caribbean: The Curse of the Black Pearl) who wants to hire Poirot to keep him safe as he thinks someone is out to kill him. 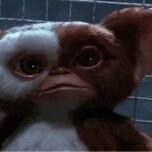 As it turns out… Ratchett was correct. On the second night of the journey, an avalanche derails the train stranding the passengers. The next morning, it is discovered that Ratchett is dead and one of the clues points to Ratchett's true identity and a litany of suspects. It turns out everyone on the train had some connection to a murdered little girl and anyone of them could have been the killer. In the end, it seems to be one of Poirot's toughest cases for several reasons. Not only are there several people with motive and access to commit the crime but the reason behind the killing causes Poirot to wage an internal war of right and wrong and question all he believes. The cast of this remake is veritable who's who of Hollywood elite. Dame Judi Dench (Skyfall), Michelle Pfeiffer (Batman Returns), Willem Dafoe (Spider-Man), Josh Gad (Beauty and the Beast), Daisy Ridley (Star Wars: The Last Jedi), Leslie Odom, Jr.(Person of Interest), and Penelope Cruz (Pirates of the Caribbean: On Stranger Tides) join Branagh, Bateman and Depp in this classic whodunit. Unfortunately, this script doesn't give any of them a meaty enough part to sink their teeth into. While terrific as usual, none of then deliver an Oscar-worthy performance. While Branagh gives us an excellent version of Poirot (it is rumored he will reprise the role in another Christie classic next year), his direction is less than desirable. He interjects superfluous moments in between action and dialogue sequences that offer no real beneficial addition to the story or the film and actually jolts the viewer out of the movie. These scenes are distracting and could have been left out entirely without changing anything about the story. The combo pack comes with a 4K Disc, regular Blu-ray, and a Digital HD. The 2160p high definition video quality is fantastic and the details down to the smallest snowflake can be seen clearly. The colors are true and the blacks dark and deep with no bleeding. The Dolby Atmos audio is exceptional with the dialogue relegated to the center channel nicely and the special effects filling in the surrounding speakers. The regular disc offers a variety extras including commentary with Branagh and Michael Greene, Agatha Christie: An Intimate Portrait, Let's Talk About Hercule Poirot, Unusual Suspects: Part One, The Art of Murder, Unusual Suspects: Part Two, All Aboard: Filming Murder on the Orient Express, Unusual Suspects: Part Three Music of Murder, Deleted Scenes. As an Agatha Christie fan, I was excited to watch this movie and with the cast assembled I expected great things. Unfortunately, while the drama was there, the build-up of suspense wasn't and I figured out at least part of the ending soon after the deceased was discovered. Having never seen the 1974 version I can't compare this version to the other but I was a little disappointed nonetheless.